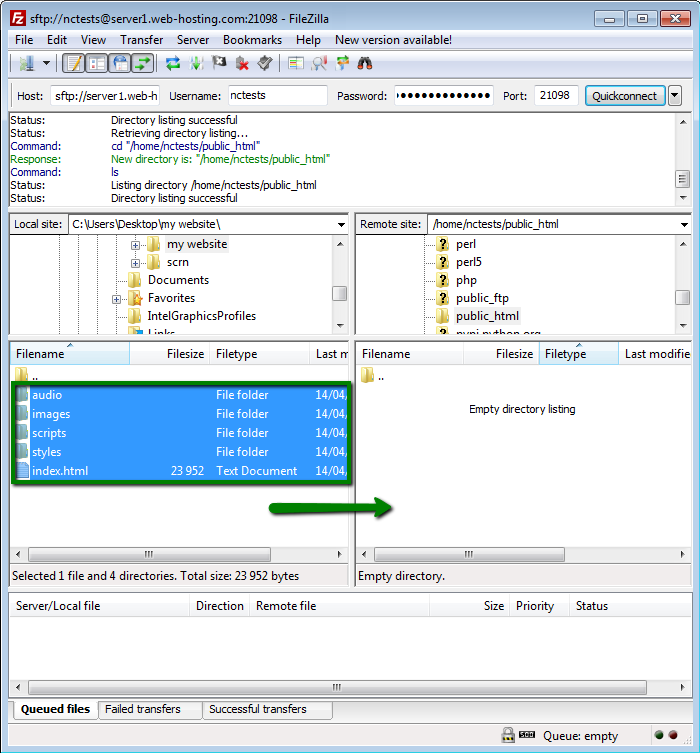 Once you've downloaded and installed FileZilla, launch the program. 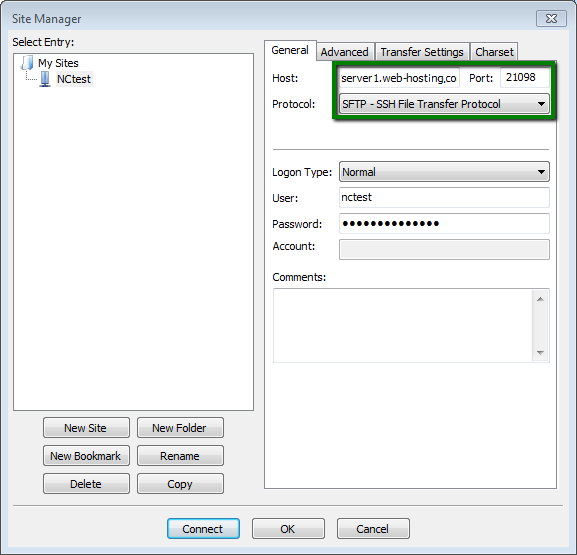 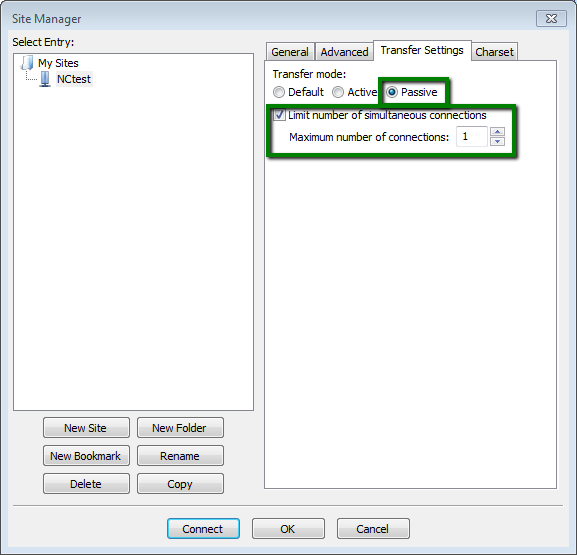 There are two possible ways to connect – using Site Manager or Quickconnect option. 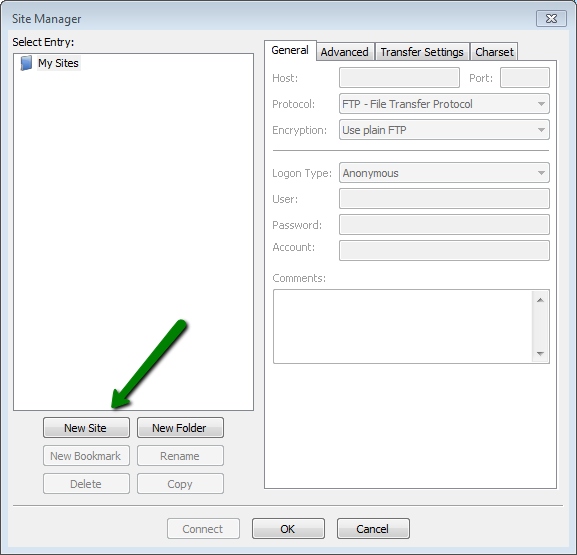 Once done, click on Connect and feel free to upload your website files. 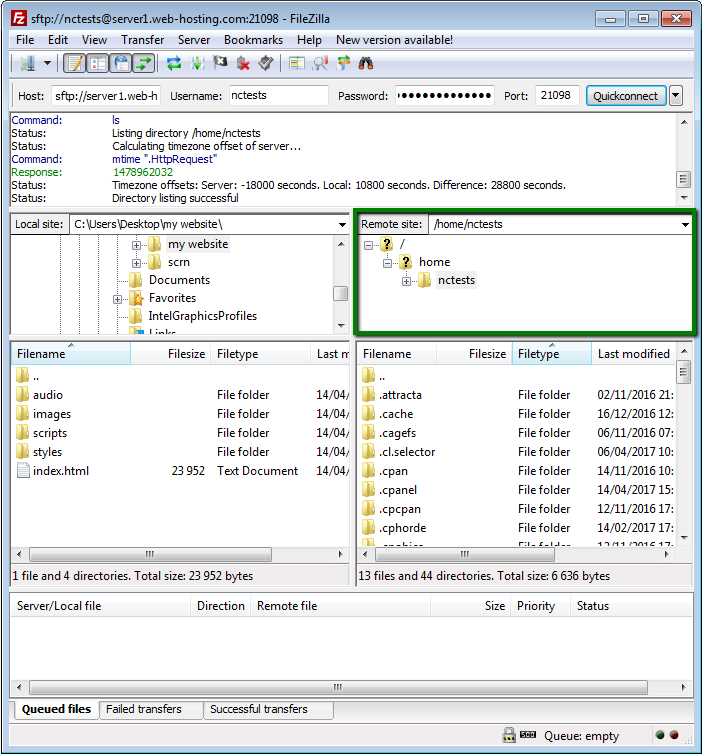 Hit Quickconnect button to initiate the connection. 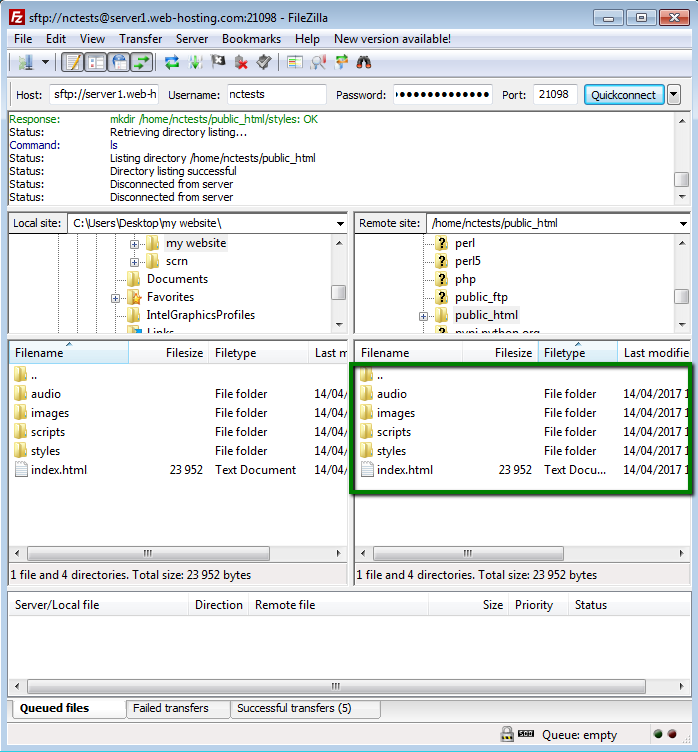 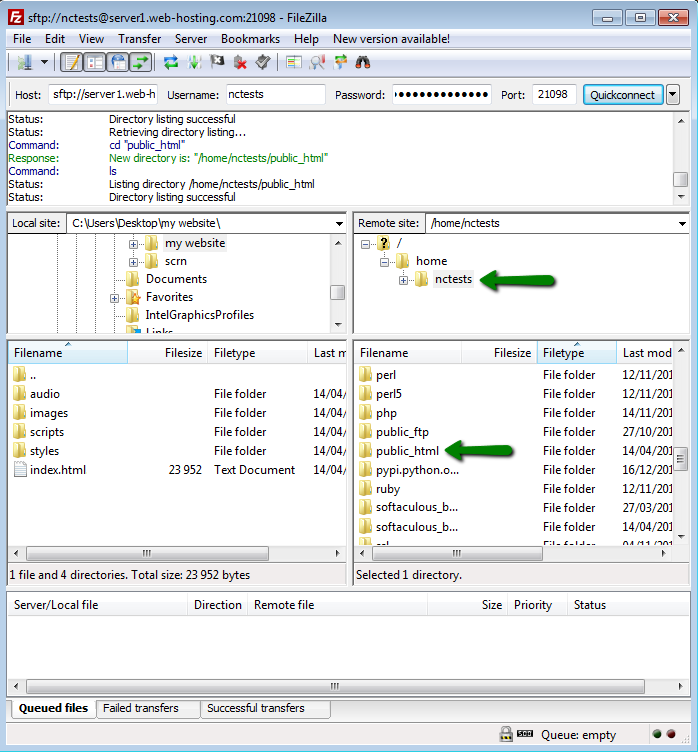 Addon domain's root folder can usually be found in/home/user/addondomain.com or /home/user/public_html/addondomain.com directory.